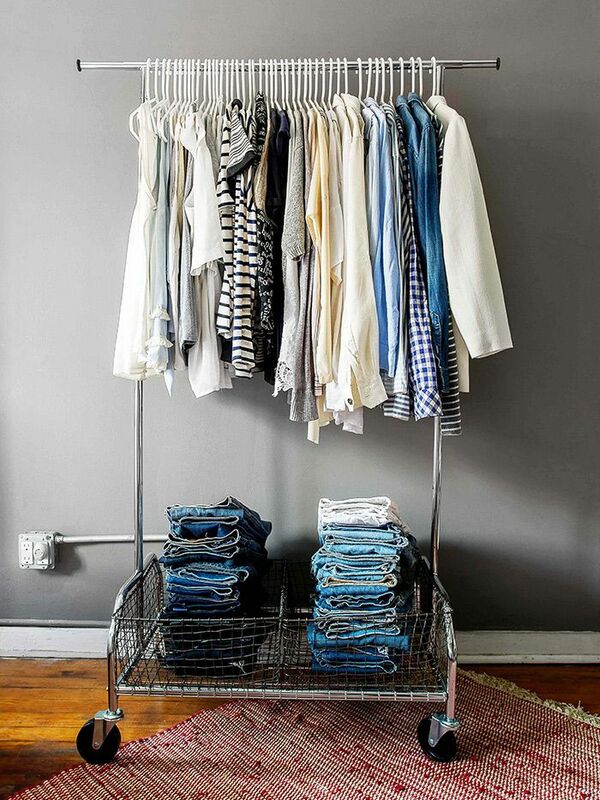 Love your wardrobe? Don’t let potential hazards in your closet tear the two of you apart! 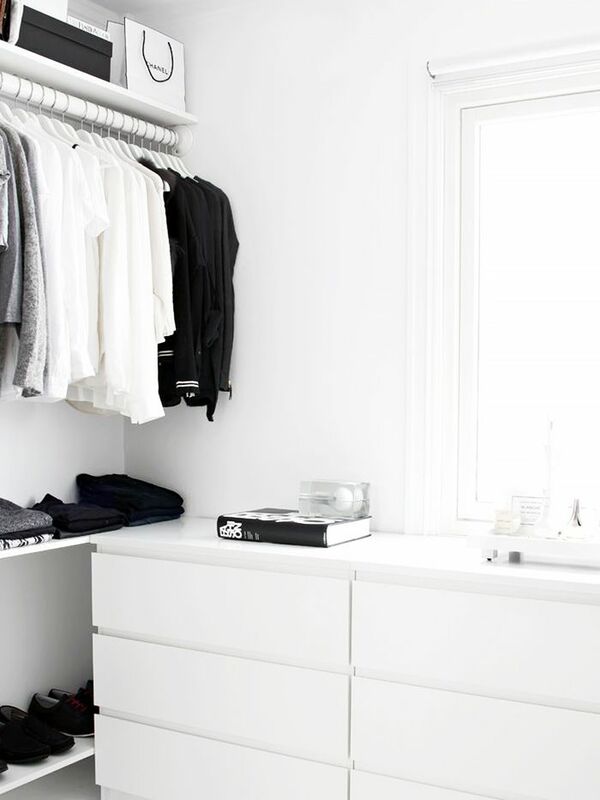 As a Clutter Healer, I see tons of closets every year—it’s always a bummer to watch someone lose an investment bag or favorite sweater just because it was lost in the shuffle of things and got damaged. If you don’t take precautions to guard and protect your clothes, you may be forced to part ways with beloved belongings before you’re ready. Luckily, there are some excellent products on the market now to help give your clothes the A-list treatment. It’s never been easier! Scroll down for my clothing care product picks to help you keep your clothes longer and looking better than ever! "Purses need a dust cover to keep out the dust and avoid sun damage or fading, and having an added pocket on the side for a photo helps to keep everything clearly visible even while protected. The Container Store offers this sleek, chic option." "Soft quilted inserts like these, also from The Container Store, keep your boots impervious from getting cracked or wrinkled due to sagging. They come in short and tall versions, so you can get them for every pair you own." "If there are infrequently worn coats, suits, or dresses in your closet, a product like this one from Bag-a-Vie is an easy fix to ensure they aren’t accumulating dust while they wait in the wings." "Laundry is an essential part of preserving your clothes. Using soap with a delicate formula, like this one, will keep your clothes in the best shape possible. For the best results, invest in a good hamper, and make sure to avoid hanging dirty clothes back up next to clean ones. And if you dry-clean often, be sure not to leave your clothes sitting in the dry cleaner’s plastic laundry bags or left on wire hangers." "If you’re a sweater person, you’re probably familiar with the sinking feeling you get at the sight of pilling. Those little balls that bead up used to be a deal breaker, but no longer! Using this handy little stone, you can rescue your even your most precious cashmere." 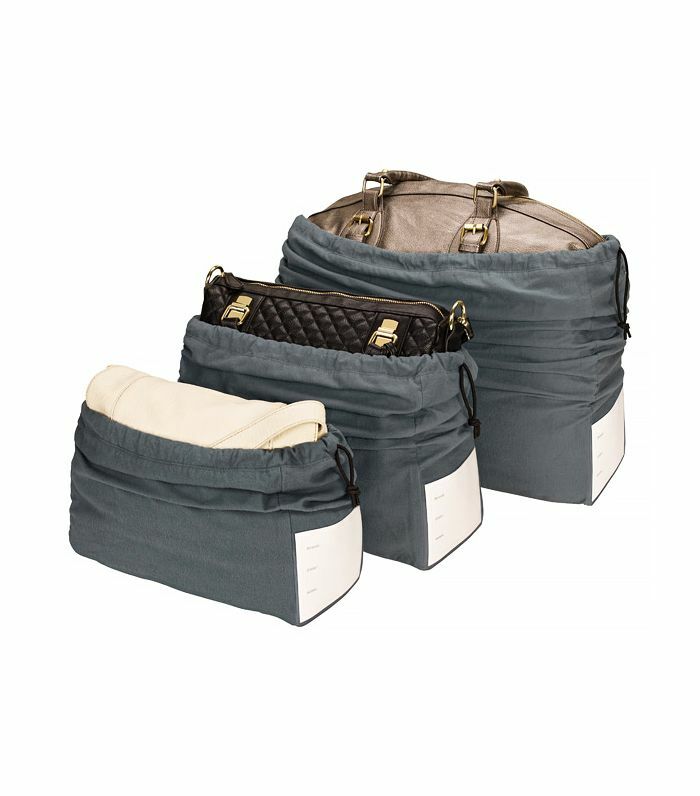 "Purse stuffers, like these from Bag-a-Vie, help your favorite bags retain their shape. They’re easy to use and slip out quickly in the event of purse transfers. Just remember that it’s important not to stack your purses next to each other without a dust cover. The pigment in some materials—like patent leather— will bleed together if they touch." "We’ve mentioned Joy Mangano’s hangers before for saving space and organizing, but they are also important for extending the life of your clothes. Wire hangers can ruin shoulders and cause the fabric to stretch out of shape. These velvet hangers keep your clothes in excellent condition instead. If you have the space for wood or padded hangers, they’re great for keeping shoulders in the right place and free from hanger marks too!" "It’s a good idea to be prepared in advance for life’s little misadventures. If you can quickly repair little tears and snags, you’ll be able to prevent any further damage and keep your favorite items longer. In addition, lint rollers and wardrobe tape are great to have on hand at a moment’s notice." "No more dabbing at light stains on dark clothing! This nifty little eraser easily takes up white deodorant marks for an effortless look. If you’re out on the town and caught without one, rub the piece of fabric with the stain against part of the same garment, and the stain will dissolve." "Cedar and lavender are both natural moth repellents, as well as deliciously aromatic. They do double duty keeping your wardrobe safe in storage and smelling great. You can find drawstring sachets, beautiful scent dispensers like this one from l’artisan, or buy them on their own. There are a multitude of options! Gone are the days of noxious solutions; now you can have fragrant herbal mixes instead to keep your clothes protected." Do you have an organization-related question you’d like Lili to answer next month? Let us know in the comments below, and we just might feature it!